Individual schools are allowed to choose the type of policy they use but they must have a policy in place. Bullying is big business, with a large number of firms selling anti-bullying courses, workbooks and training schemes to schools and LEAs. 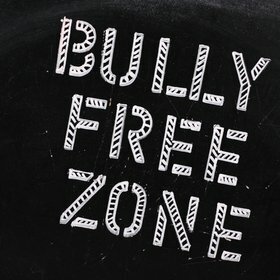 The government has not carried out long term, independent evaluations of anti-bullying methods, so schools may want to explore a range of methods before deciding what works best for them. You might also want to read a Government report (2010), The Use and Effectiveness of Anti-Bullying Strategies in Schools. Some schools have fairly straightforward documents concentrating largely on behaviour, but schools are increasingly turning to particular methods, including the no-blame approach, peer counselling, restorative justice and circle time. The Anti-Bullying Handbook by Keith Sullivan (Oxford University Press, ISBN 0-19 558388-4 £9.99) offers a good explanation of these methods and may be a useful source of information for teachers and parents. In this method, the victim, or target, of the bullying is interviewed and asked to draw a picture or write a poem about the effect bullying has had. A teacher will then hold a meeting with a group of students including the bullies, those who may have seen the incidents and others who are not directly involved. The teacher explains to the group how the victim is feeling and the group then offers suggestions to find a solution. Removing blame from the process allows the perpetrators to involve themselves in finding a solution without feeling threatened or defensive. Those who were bystanders are given a chance to see that by doing nothing, they were condoning the bullying. The group is encouraged to come up with practical problem-solving solutions and the responsibility for carrying out these ideas rests with the group. Each pupil in the group then carries out their own solution, so that a child who has been excluded from activities with other children may now have someone to play with and another may accompany him on other occasions to make sure there is no bullying. A week or so later the group reconvenes to discuss progress and what has been achieved. Records are sometime kept of the way this method is carried out, but not always. This strategy has often proved unpopular with parents, some of whom have expressed concern to us about a lack of action from the school and a lack of punishment for the bullies. These concerns should be considered in advance if using this method. The pupils involved are encouraged to talk issues over with the aid of a mediator and find a way forward to end the cycle of bullying and complaints. This seems to be more effective when pupils who are friends fall out, but could be less effective at resolving full scale bullying. Although mediation can be successful in some cases, others have expressed concerns that victims of bullying may be making themselves vulnerable when discussing their feelings. When using this method, schools should consider seriously the skills of the mediator and the capacity of staff to carry out follow-up work and ensure positive behaviour continues after the sessions end. Many primary schools use Circle Time. Pupils sit in a circle and play games or do fun activities for a short time. Then they can discuss matters as a group, including bullying. This is a way for everyone in class to take part in a structured way. This includes listening to the person making the points without making remarks or laughing. Some schools may use a toy or emblem, representing the opportunity to talk uninterrupted for the person who is holding it. With this method, there is a risk that children might feel humiliated and distressed talking about difficult feelings in front of their class. Lots of care will need to be taken with this method to ensure children feel safe and well supported when talking about sensitive issues. These strategies are more popular than others, particularly among schools which favour a "whole school approach" and particularly among those pupils chosen as peer counsellors who enjoy the responsibility. The idea is that everyone in school knows that bullying is unacceptable, children moving up from primary school are reassured that the secondary school is a safe place to be from day one. In brief, older pupils undergo intensive training over a number of months into the effects of bullying, and how to care for younger pupils who are unhappy because of it. These volunteers are then identified by badges or ribbons and pupils know they have someone of their own age who will take their concerns seriously. Strong teacher involvement is highly recommended. Recognising that some children may not have friends, some schools set aside a quiet room where pupils can go to do their homework, play board games or just chat with others. Boxes can be placed around school so that children who are upset and don't want to approach a volunteer directly, can still use the service by sending a note. Some schools also use email or text messaging instead of a box alert system. With the right training for peer counsellors, this can be a very effective method. We sometimes hear from young people asking for advice on dealing with bullying related issues which should be covered in their training. Peer counsellors should be given regular staff support and very clear guidelines on what sort of interventions they can carry out and when their concerns should be passed to a teacher. Schools in the UK are increasingly describing themselves as 'telling' schools and they sometimes operate this system in conjunction with peer group schemes in secondary schools. It seems to be popular in primary schools too. It means that even if the bullying target is too afraid to tell a teacher, all the bystanders know that it's their duty to do so and that they won't be accused of telling tales. It's a deterrent because the bully knows that he or she won't get away with it. This is a good idea as bystanders are often a key to resolving bullying. This policy needs to be publicised regularly so that pupils are not made to feel they are telling tales. Restorative Justice has been used in criminal cases to help offenders understand the effect they've had on the victims of crimes such as burglary and assault. A similar process can be used with bullies in schools. The victim is given an opportunity to meet with the bully face to face in a safe and supervised setting and talk through the impact that the bullying has had, or is having, on them. Peer mediation and circle time are often part of this process. Restorative justice is designed to empower the victims and to help the perpetrators understand the human consequences of their behaviour. In a 2013 survey by Family Lives, we asked teenagers what they felt was the best way to prevent bullying. The majority advocated some method of helping bullies to become more aware of the true consequences of their actions, as well as an increase in the availability of support groups for victims. Read more about the the school's responsibility to protect your pupils on the Department for Education website.